7digital review | What Hi-Fi? In the world of hi-res music downloads, few names are bigger than 7digital. The company, which launched in 2004, has provided download services for everyone from Spotify to Samsung, while also running its own site offering millions of songs to download in MP3, CD quality and hi-res audio. That length of time in the industry shows. Its website is nicely designed and easy to navigate, not something all of its competitors have managed. It’s clean with minimal fuss – you’ll find some editorial context on a handful of featured albums, but suggestions are otherwise clubbed together in the likes of the week’s newest hits, genre highlights and artist best-ofs. There is also an accurate and useful search function, which brings up artists, albums and tracks that might be of interest. 7digital’s wider focus on music downloads means there’s a lot of non hi-res music on the site too, but you can easily spot hi-res recordings thanks to a “24-bit FLAC” badge on an album or song’s thumbnail. There’s also a dedicated hi-res section, but a filtering system for picking recordings with particular sample rates wouldn’t go amiss. In terms of formats available, 7digital is a little less flexible than HDTracks for example, in that it will only allow FLAC downloads, meaning WAV and AIFF fans will have to look elsewhere for their file format of choice. This is unlikely to cause much upset, but it’s a consideration all the same. If 7digital’s design wasn’t draw enough for music downloaders, its catalogue certainly will be. While other services might leave you feeling that hi-res music is reserved for the likes of jazz and classical music, 7digital proudly waves the flag for pop and rap and everything in between. Having the four major record labels on board really shows. We do find that current music is more likely to be in 24-bit/44.1kHz or 24-bit/96kHz than 192kHz, but that’s down to the record labels rather than 7digital itself. From our time delving through it, we’d imagine the catalogue would suit most needs, but if it is jazz or classical music you like, you might find a deeper catalogue for those genres in a more specialised store. Pricing is pretty competitive, with the same album usually coming up the same or cheaper compared to rival sites. It often runs sales too, with discounts on a handful of popular records each week. 7digital is good at offering individual tracks for sale as well as full albums, plus there are 30-second previews to help you decide whether to buy or not. All good news then, and it continues when you go through to buy music. Once you’ve paid for your purchases, you’ll find them in the Your Music section of the website. Like most services of its ilk, you’re recommended to use a download manager to quickly download multiple tracks at once. It can be done one at a time – though this is quite time consuming if you have a lot. We download a handful of tracks and albums, including Elvis Costello’s Lipstick Vogue in 24-bit/192kHz, Bjork’s Lionsong in 24-bit/96kHz and Alanis Morissette’s Forgiven in 24-bit/44.1kHz. The difference of detail between sample rates is negligible, as much as we can tell with these different tracks – all show excellent clarity and detail levels, with a full-bodied and enthusiastic character. The lively instrumental Lipstick Vogue is delivered with verve and drive, while Forgiven’s haunting vocals are as expressive as they are piercing. 7digital has made its way in this industry by providing download services to other companies (see Technics Tracks), so it’s no wonder that the service it provides under its own name is one of the best. 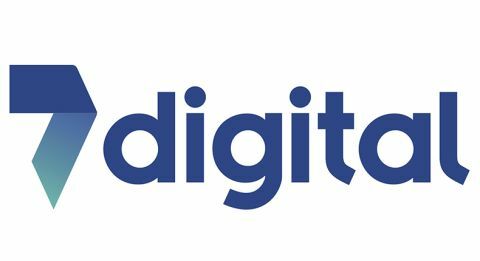 With a strong catalogue that offers high-resolution music from all genres and a website that makes buying music easy, 7digital is an excellent all-rounder that makes it an easy go-to for music downloads.